Time to sell your home in Stonebridge? Read about today's buyer. 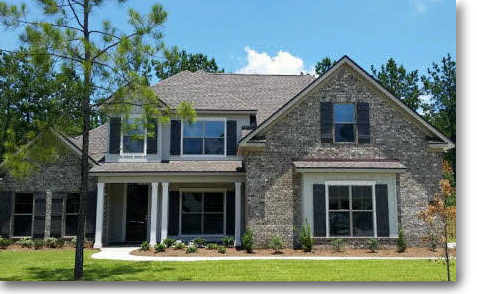 Stonebridge is one of Spanish Fort's newest and most desired neighborhoods located just off Hwy 31. This master planned community is just minutes from I-10 offering convenient and quick trips to nearby commutes - Mobile, AL and Pensacola, FL. Developed in 2015, Stonebridge consisting of newer residences and homes currently under construction by builders, DR Horton and Truland Homes. A wide array of residences are offered with sizes ranging from 1,600 square feet to over 4,000 square feet. Homes in this family-friendly community can cost from the lower $200,000s to around $400,000 for luxury custom-built homes. Numerous mature trees and lighted sidewalks along winding streets provide the perfect setting for morning jogs or walking the family dog. Stonebridge provides great amenities enjoyed by any age including a resort-style pool surrounded by lush landscaping, pergolas and lounge chairs, a kid's playground, bocce ball court, BBQ grilling area, and a fitness room. The Eastern Shore Center Mall is approximately 5 minutes away offering a great selection of dining, shopping, and entertainment options. Stonebridge is located inside Spanish Fort's great school system and is just minutes from Rockwell Elementary and Spanish Fort High School. Find more Spanish Fort Homes for sale and nearby Daphne Homes using our interactive maps and pre-defined search features. Please let us know if you would like further information for Stonebridge or other Spanish Fort homes or real estate or would like to schedule a private viewing by emailing info@condoinvestment.com or by calling (251) Area-Pro (251-273-2776) for immediate assistance.